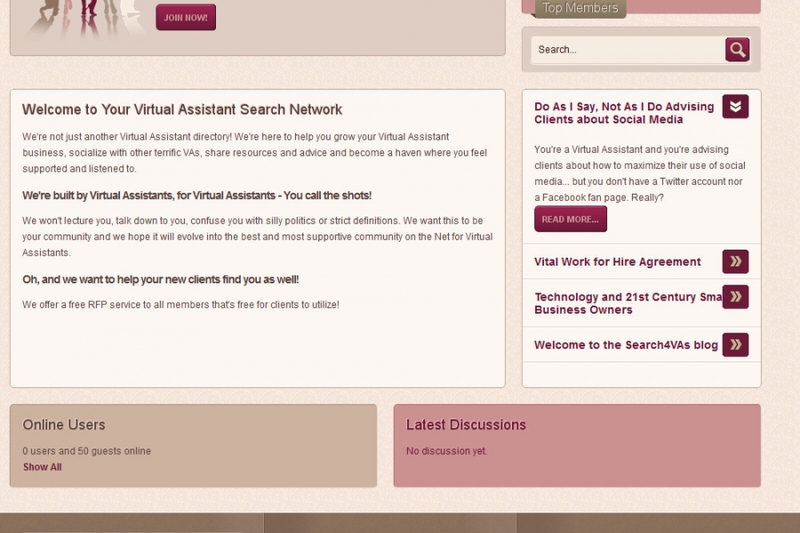 Designed and built our sister site, Search4VAs.com in Joomla including the popular JomSocial community extension. Search4VAs Design	Gallery: Joomla Design Portfolio	Description: Designed and built our sister site, Search4VAs.com in Joomla including the popular JomSocial community extension. Views: 2889	Loves: 0 love it!